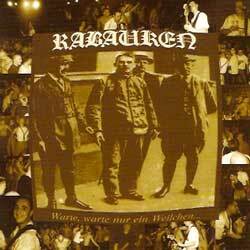 RABAUKEN "Warte, Warte Nur Ein Weilchen ..."
classic oi! From Germany. 2006 United Kids Records original pressing, made in Germany. Code UKR 014. 6-pages booklette.